Only $125 Weekly,with $0 down payment! *Includes Trailer hitch,and Premium Floor liners - call for details* Lowest Price Guaranteed on all new Hyundai models! Find a lower quote? Bring it to Lauria and well beat it! With mid-row captains chairs for comfortable 6-passenger seating and up to 2,265L of cargo capacity the Santa Fe XL finds a way to meet every expectation. Features include: 3.3L GDI V6 engine,leather interior,panoramic sunroof,Bluetooth,19 alloy wheels,adaptive cruise control,autonomous emergency braking,high beam assist,lane departure warning system,HID Headlights,LED fog lights and tail lights,heated steering wheel,dual-zone climate control with rear air and heat,power driver and passenger seat,ventilated front seats and heated front / rear seats,rear park assist,power liftgate,blind-spot detection and lane change assist with rear cross-traffic alert,push button start,12-speaker Infinity audio with 8 touchscreen,multi-view camera system,and much more! All-in pricing prices include EVERYTHING but taxes and licensing. Financing example: Vehicle price is $10,000 financed over 96mo. term @ 4.9% APR. $0 Down payment. Cost of borrowing is $2,107.87. OAC. Plus taxes. Please call for more details. 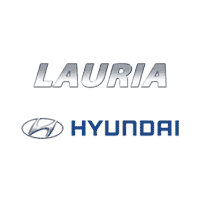 Port Hope's Lauria Hyundai is a family-run dealership and has been servicing the regions of Clarington,Oshawa,Durham,Peterborough,Lindsay,Belleville,Cobourg,Whitby,Ajax,Bowmanville,and Northumberland since 1984. As multiple Presidents Award of Merit winners,we were honoured to be named Canadas number 1 overall Hyundai dealership in 2012 and have twice been ranked number 1 overall in total customer satisfaction since 2010! Satisfied customers are our key to success,give us a chance to prove it to you,we wont let you down! Think Smart,Think Lauria Hyundai.